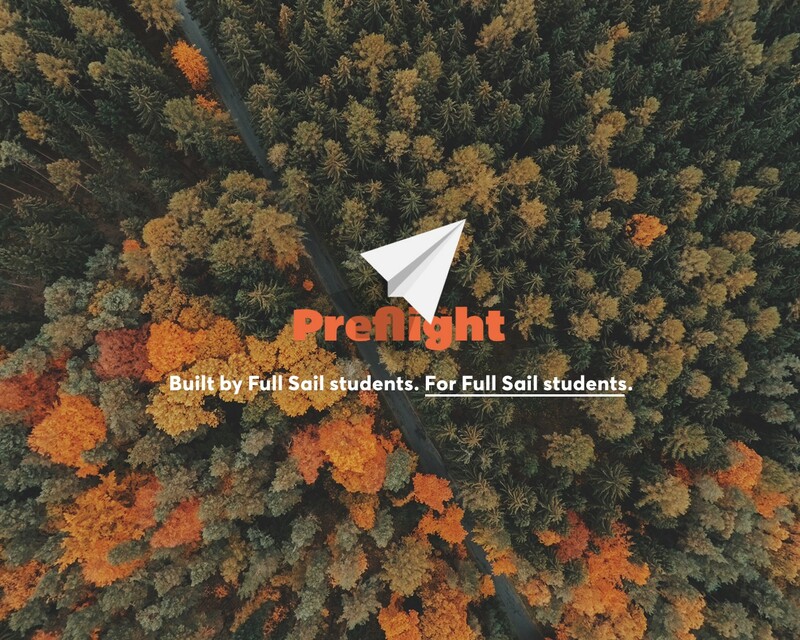 Today, we revealed Preflight, an app designed to streamline the Full Sail online experience on mobile devices and help Full Sail students manage their time more effectively. It’s been a wild week and we wanted to share some insights about our thought processes and struggles. We’ve been students at Full Sail for roughly 2 years now, and we have only 2 weeks left. Full Sail’s unique learning structure makes planning and time management especially difficult. We sought to solve this problem along with other common problems that seem to plague Full Sail students in one mobile application. In printing, pre-flight describes the process of confirming the digital files required for the printing process are all present, valid, correctly formatted, and of the desired type. The term originates from the preflight checklists used by pilots. Preflight was conceptualized under an entirely different name — Earlybird. We were taking a class called Digital Publishing (DPU) at the time, and the final capstone for that class was to develop an app that would help future DPU students — all in 8 hours of pure chaos. Fast forward one year. We are nearing graduation and we had been throwing around the idea of revamping Earlybird, for some time. A few weeks ago, we finally pulled the trigger and made the commitment to create an app that wouldn’t just help DPU students, but all Full Sail students present and future. We needed a name that represented the change in vision. Thus, Preflight was born. Neither of us have much experience in app development. Initially, we tackled our research from a graphic design stance. We constructed mood boards out of a conglomeration of inspiration from Google, Pinterest, Dribbble and Behance, etc. 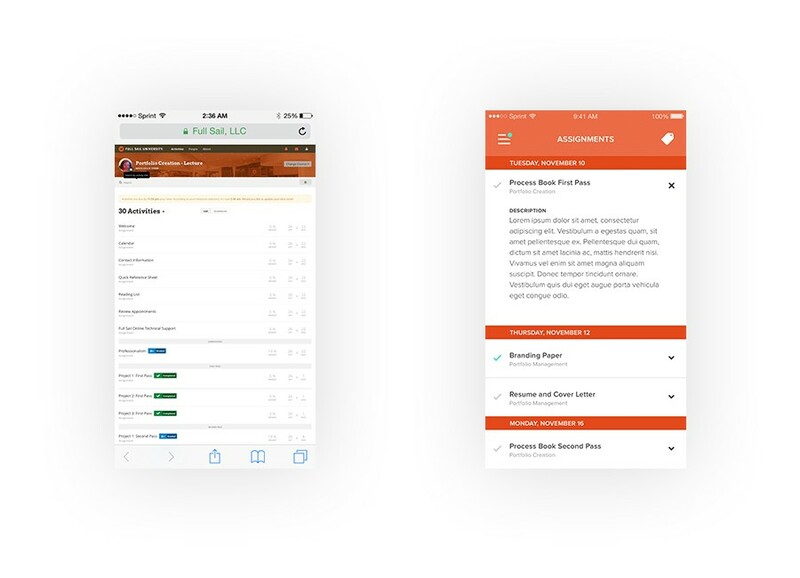 We quickly realized that designing an app is completely different from building a campaign. It wasn’t enough to understand how an app should “look”. We needed to understand how they function. After this realization, we began to look at the apps on our phone: Facebook, Yelp, WhatsApp and Instagram, etc. We then started to take a look at other productivity apps such as Sunrise, Fantastical, and the iOS Calendar. We wanted to get a sense of what they did, what we liked, and what things we would need to change, given our set of problems and constraints. A typical Full Sail student will have 2 of these classes simultaneously in every 4 week chunk of time. This makes time management paramount, and also borderline impossible given the functionality of traditional calendars and scheduling applications. The Full Sail platform contains each student’s class schedules and assignment due dates. Our initial solution was to display all this information in 3 views — today, weekly, and monthly. After building the first 2 views, we ran into a buzzsaw on the monthly view. Each class is broken into 10–11 sessions over the course of 4 weeks. Full Sail has to compensate for holidays over the year, so classes rarely fall perfectly into a single month. For example, this month our class spans from the last week of October through the third week of November. We wanted to be able to display the entire class in one block of information without any breaks, this would prove to be impossible for us to do in a single monthly view. This creates a naming / organizational problem because we are no longer displaying each month as a whole but instead just 4 week blocks of time. We had to decide between sticking with the traditional model, or convert to a different way of organizing the information. After asking a few students, and drawing from our personal experiences at Full Sail, we determined that it was more important to display each classes’ information within a single visual. If you ask a Full Sail student what month he or she is in, the response you can expect to receive is “I’m in month 8, 9, X”, not “Jan, Feb, etc”. 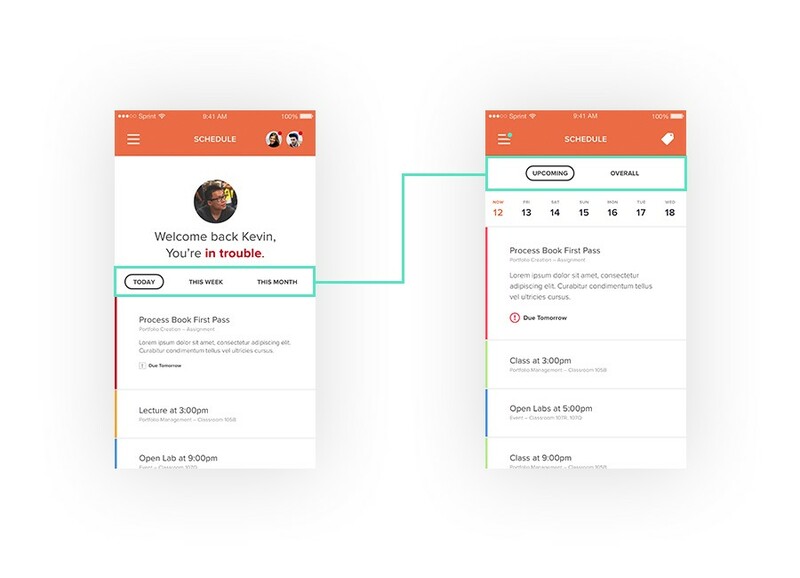 We reimagined the 3 views into just 2 — Upcoming and Overall. The Upcoming view allows the user to see what is immediately due within the week; allowing them to flip through each day, one by one. The Overall view serves to give the user a snapshot of how each class works, as a whole. The user is able to quickly access when assignments are due, classes are scheduled, and open labs are available. FSO is the Full Sail Online platform that houses each students information which includes current classes, assignments and due dates. The current platform is effective at delivering the content only on desktop machines. The experience is less than optimal for mobile devices. Most pages are not responsive, therefore viewing anything on mobile typically involves lots of zooming and scrolling. Since Full Sail students are incredibly comfortable with the desktop experience, we decided to stay true to the format whenever possible. We built responsive screens that display the user’s current classes, course announcements, and assignments for each class. A large part of success at Full Sail is utilizing the Open Lab facilities. Open Labs are student driven work areas. These rooms are for sharing ideas, getting constructive criticism, and peer inspiration. There’s just a small problem — no one knows about these elusive labs. Students can enable Preflight to notify them, when an Open Lab is available, via push notifications. We placed a green light on the ‘Open Labs’ tab so that the user knows a lab is open before they click. After clicking ‘Open Labs’, Preflight provides a list of all the lab rooms, and specifies which rooms are available by a green light next to the room number. The room listing displays other information, such as the lab monitor, lab closure time, and who is attending. Students have the option to check-in to a lab, allowing their friends to know what room they’re in. Due to the valuable equipment in many of classrooms, Full Sail requires all students to scan their ID in order to get into all university buildings. This makes total sense, until you’ve left your ID at home and are locked out. In order to gain entry, without an ID, they must contact campus security and be escorted to the classroom — causing embarrassment. Full Sail’s students value their phones a bit more than their student IDs. Therefore, our goal is to eliminate the physical student ID and lanyard system, forever. 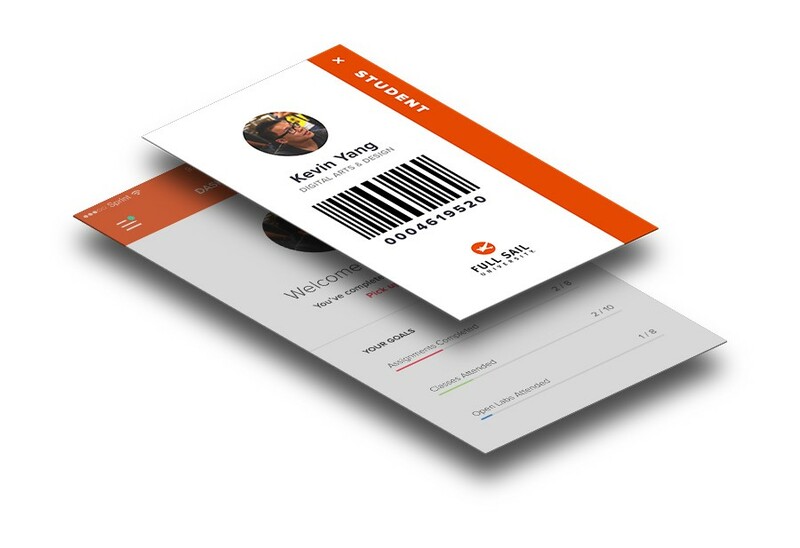 With the Preflight app, students’ phones become their student IDs. Full Sail will save thousands of dollars annually by utilizing Preflight versus lanyards and IDs. Safety is a concern at every university. However, if there’s an incident on Full Sail’s campus and you manage to locate a telephone, you still need to communicate where you are before they can assist you. In cases of emergency, the Full Sail student must find a security officer because no campus-wide alert system currently exists. Preflight provides an emergency button that immediately alerts campus security of your location. Having campus police more accessible assists everyone. Preflight uses geolocation to communicate your whereabouts automatically. Check your type size. Check it again. Thanks for reading. Check out our project on Behance and feel free to drop us a line and say Hi.